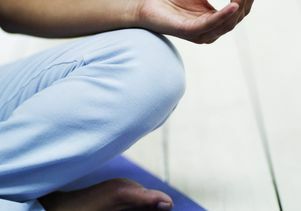 Meditation and other mindfulness strategies may reduce the likelihood of relapse for certain people struggling to break their addiction to stimulants including cocaine and methamphetamine, a UCLA study suggests. Results of the small clinical trial, published online this week in the journal Mindfulness, showed that mindfulness training is particularly beneficial for adults dependent on stimulants who have been diagnosed with depression or anxiety, common disorders among people with substance addiction. Nearly 34 million people worldwide use amphetamine-type stimulants and 17 million use cocaine, according to the United Nations Office on Drug Use and Crime. During the past decade the production and use of amphetamine-type stimulants have grown dramatically. Chronic use of these highly addictive substances can cause physical and mental health complications including cardiovascular problems, increased susceptibility to infectious diseases, depression, anxiety and paranoia. Mindfulness is widely recognized as an effective strategy for reducing stress and anxiety. But the idea that it could be helpful for people struggling with addictions is relatively new. In recent years, studies of mindfulness in addiction treatment have focused on people who are dependent on either alcohol, drugs or both. The UCLA study looked specifically at the impact of a mindfulness training program for people addicted to stimulants. The researchers found the program produced psychological benefits for all participants, and helped those struggling with psychological symptoms to remain off drugs. Unlike some prior studies, UCLA’s research introduced mindfulness training early in the recovery process, when patients were still struggling with severe addictions. “This is very encouraging, as it suggests that mindfulness is an accessible coping strategy even for addicted adults who are still feeling restless or uncomfortable with withdrawal symptoms,” said Glasner, who is principal investigator at UCLA Integrated Substance Abuse Programs. In the randomized clinical study, 63 adults with stimulant dependence received a standard behavioral treatment for stimulant addiction for 12 weeks. After four weeks, participants were randomly assigned to one of two groups: one that received mindfulness training designed specifically for addiction treatment, or a control group that received health education. At the completion of the 12 weeks, the UCLA researchers measured changes in the participants’ use of stimulants, as well as in their symptoms of anxiety and depression. Among the participants with major depression, 87 percent who got mindfulness training were not using stimulants at the end of the 12 weeks, versus 62 percent of the depressed patients who received only health education. A month after the treatment, 100 percent of the depressed patients who received mindfulness training were no longer using stimulants, compared to 50 percent of the patients in the control group. Similar patterns were observed for study participants with anxiety disorders. The study was funded by the National Institute on Drug Abuse of the National Institutes of Health. In addition to Glasner, other study authors include Dr. Larissa Mooney, Alfonso Ang, Mary-Lynn Brecht and Richard Rawson, researchers at UCLA Integrated Substance Abuse Programs; Emily Hartwell, a predoctoral psychology trainee at UCLA Integrated Substance Abuse Programs; and Hélène Chokron Garneau, a graduate student researcher at UCLA Integrated Substance Abuse Programs.